Marvel or AA while waiting for Nelson order? Brand spanking new at the game, was invited by my commander to join the AF pistol team and wholeheartedly am down and ready to train! I have purchased an RO as many have recommended but am stumped on what .22 conversion I should get. I would love to start off with the Nelson but wait time is 9-12 weeks unfortunately. I was thinking of ordering the marvel or AA unit while waiting for the Nelson to arrive. What would you guys recommend? Re: Marvel or AA while waiting for Nelson order? I have both. They work equally well. Do you have any experience with the Lockback steel and aluminum versions? I've had a marvel, an AA Custom Pro II, and a Nelson. The AA was the best, but the Custom Pro was a special edition that was reworked by Marvel. So it wasn't the standard AA. I wasn't a fan of the Marvel, but it wasn't the newer steel lock back version. The Nelson is great, but accuracy wise the AA Custom Pro was better. You I like Larry and the product he makes. I've owned a Marvel steel lockback before. The marvel runs an alum scope rib/sight rib. the Nelson is steel. The Nelson iron sights i did dislike...but now they offer a target front sight option as well as the ramped. The Marvel lockback require using a modified GSG mags if i remember correctly. The Nelson locks back is part of its design. I have used an early production Marvel longside conversion with Colt mag and it was accurate and never a hiccup, no clue if the new barrels are as good as the old ones. Nelson doesn't offer a long slide that i know of. Larry did make me a custom scope mount which i enjoy. Larry's plastic mags work great right out of the box(do not use a high mag catch with them). The Marvel may or may night require a high mag catch. I'm still biased that the Colts are better just because of the mag lip tunning...but i haven't needed to use them. Some other differences is the takedown tool, although similar design between the Nelson and Marvel i like the Nelson more. The Nelson also adds a recoil buffer over the Marvel.....though you can just chuck it on the Marvel as well. Only beef with the Nelson is the mag loading tool, i dislike having to use one. If it was steel i could atleast stick to my gunbox lid magnet instead of digging around for it, but some superglue and a coin sized magnet fixed that. Larry's barrels has been accurate for me comparable to an Anschutz i had made for mine(thank you Mr. Barrel maker sir) with CCI and NO ransom resting . If i had to buy a conversion and neither company had a wait time, I'd buy the Nelson. If a Marvel came up for sale cheap or someone gave me one i wouldn't go through the effort of buying a Nelson to replace it. As much as I like to support Larry. Now if Marvel or Nelson wants to sponsor me as a shooter their product would be #1 and all others would be garbage by comparison. I own one of the early Marvels and a nelson. The marvel I have is an aluminum slide and does not lock back. . Really not an issue given my Marvel will out shoot my nelson. On my conversion I found the Nelson mags to work perfectly with my Marvel.. I would seriously consider option 3. Having another conversion is not the same as having a backup .22. In the "did you know category" Ruger is now making a third option in their MK IV. They had the "Target" and the "Hunter" but now you can get a pistol that looks like they were thinking of Bullseye shooters when they designed it. They sell for a tad bit more then the Target but less then the Hunter. While I was waiting for my Nelson I would grab one of the new "Competition" models of the MK IV. I shot the Nationals one time without a backup. Bad mistake. Just my .02 worth. PERSONALLY, I FAVOR THE MARVEL. I HAVE 3 . ORIGINAL NON LOCK BACK, 5 & 6 INCH AND A 5 INCH STEEL LOCK BACK. I LOVE THE MARVEL WITH THE ROCK RIVER ARMS STEEL OPTIC RAIL. MARVEL WILL SELL YOU A CONVERSION WITHOUT A RAIL. SO YOU CAN ADD THE STEEL RRA RAIL. THE WEAKNESS OF ALL CONVERSIONS YEARS AGO WERE THE MAGAZINES. IT WAS THE MARVELS ACHILLES HEAL. I LEARNED HOW TO ADJUST THE OLD MAGS ON MY OWN. THE GSG MAGS HAVE JUST REMOVED THOSE PROBLEMS PERIOD. I HAVE RANSOM REST TESTED A BUNCH OF MARVELS AND NONE OF THEM HAVE BEEN OVER AN INCH AT 50YDS. WITH THE CHEAPEST CCI SV AND AGULIA SV FROM THE CMP. JIMPGOV wrote: PERSONALLY, I FAVOR THE MARVEL. I HAVE 3 . ORIGINAL NON LOCK BACK, 5 & 6 INCH AND A 5 INCH STEEL LOCK BACK. I LOVE THE MARVEL WITH THE ROCK RIVER ARMS STEEL OPTIC RAIL. MARVEL WILL SELL YOU A CONVERSION WITHOUT A RAIL. SO YOU CAN ADD THE STEEL RRA RAIL. THE WEAKNESS OF ALL CONVERSIONS YEARS AGO WERE THE MAGAZINES. IT WAS THE MARVELS ACHILLES HEAL. I LEARNED HOW TO ADJUST THE OLD MAGS ON MY OWN. THE GSG MAGS HAVE JUST REMOVED THOSE PROBLEMS PERIOD. Sounds like GSG mags are the way to go. How is the steel vs aluminum, would you recommend the heavier weight of the lock back steel version? I wonder if the conversion/mags were loading ammo funky. Shaving bullets or having them wack into the chamber. 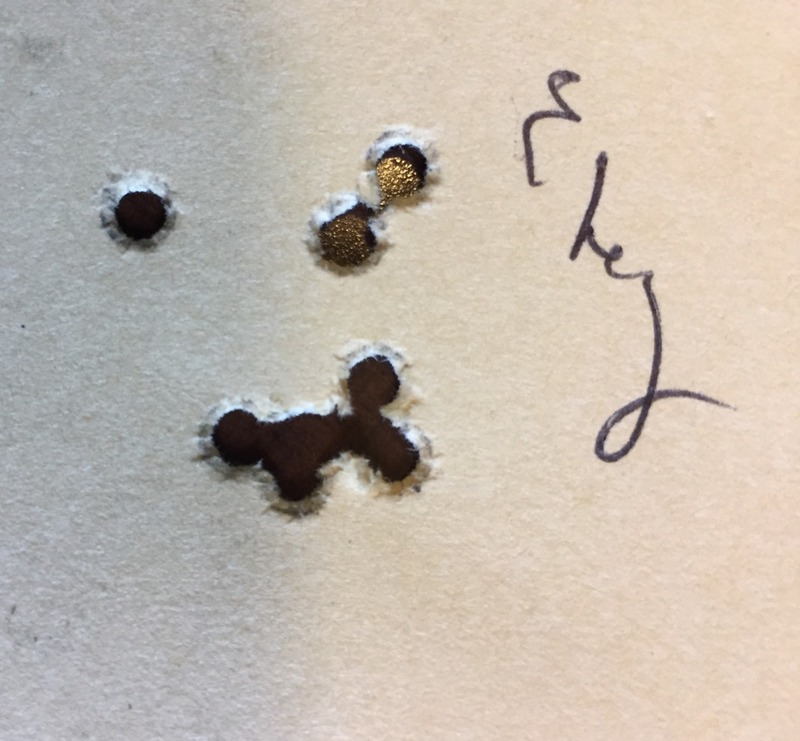 Deforming the bullet can grow the groups. ACTUALLY I WOULD RECOMMEND THE ALUMINUM LOCK BACK VERSION. IT'S SEEMS TO BE LESS AMMO SENSITIVE. EASIER TO BALANCE WITH THE RECOIL SPRINGS. BUT WITHOUT A DOUBT THE RRA MOUNT RIB IS THE WAY TO GO. AS FAR AS THE MAGS GO. NO HE HAD CHECKED FOR THAT. RRA mount needs milled for slide clearance. Just had to do that for a friend who bought one. The extra weight helps settle the pistol better. I have both aluminum and steel versions of the Marvel. They recoil very differently but I think I like steel version the best. Stays in x-ring better at 25 yds. I guess I've been lucky with my Marvel's because i've had four of them and never had any problems. I recently bought one from a member here, he even replied in the thread, and it is one of the most accurate 22's i've ever shot. Only hangup with it is that I can't use my old cheap Aguila due to light strikes (the bullet sizes are all over the place), I changed to SK standard and no problems. The only reason I don't have my first two is because I sold them to new shooters to get them going with a known good setup. I would prefer steel, but not a major deal breaker. What I wish Larry would change is the iron rear sight. Marvel uses the more durable, easier to adjust and IMO shoot, Bo-Mar style rear vice Elliason. 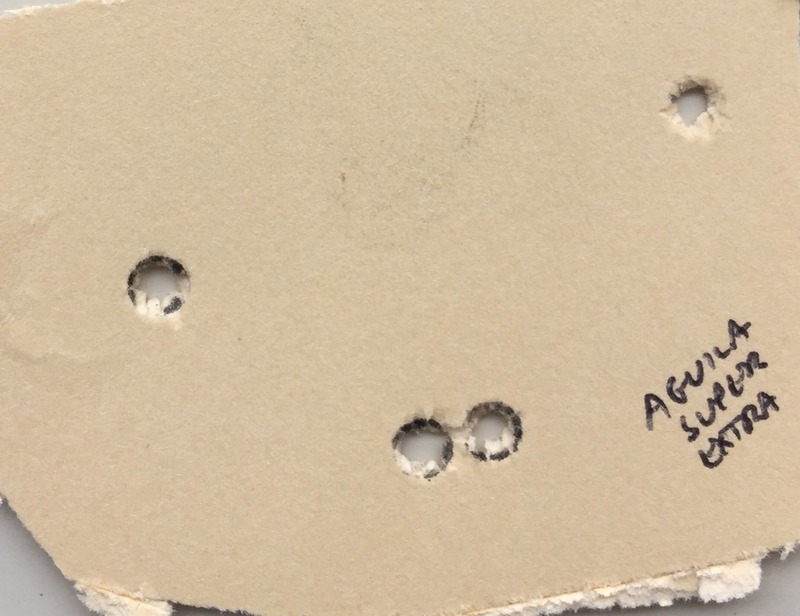 Here are three initial test targets from a Nelson Custom 22 Conversion. 5 shots at 50 yards from an H.E.G. rest. The Aguila is only 4 rounds due to a failure to feed, but we didn't re-shoot as the group was awful already. 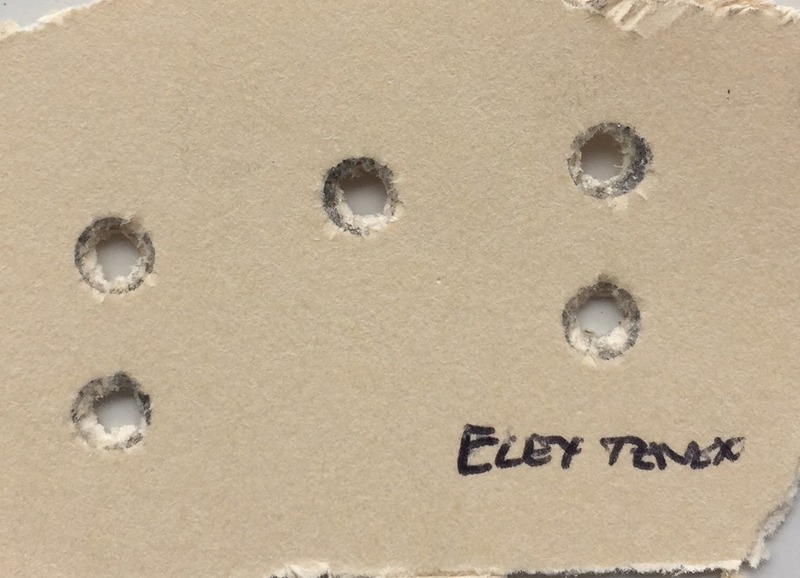 Eley TENEX and CCI SV had 1.25" groups, which was not what I expected. The conversion was inspected by the AMU, the chamber was fine, but the crown needed re-cut. That was done and the follow on test targets are below. 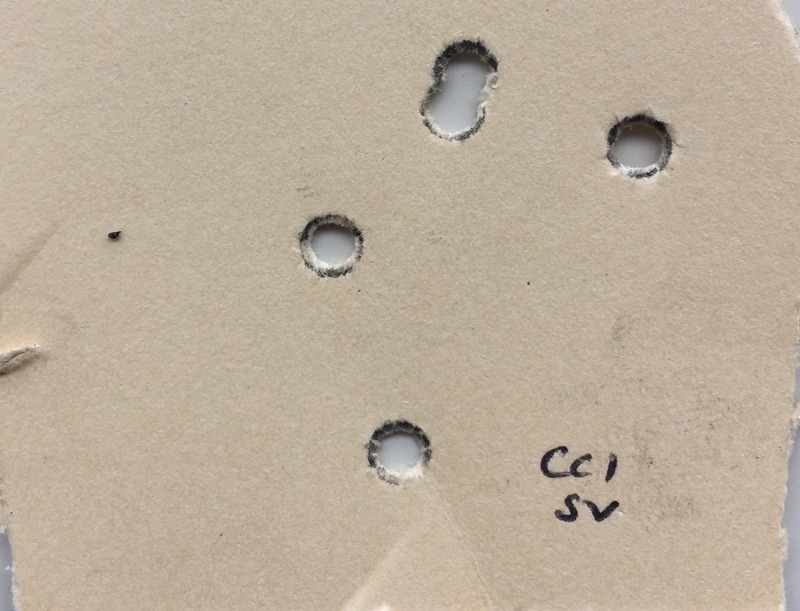 Here is the post repair 10 shot 50 yard test target after the crown was re-cut. 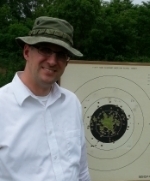 Eley produced a good group, but the CCI SV is not grouping at 50 yards like the Aguila. Based on the test target, I won't use CCI SV at 50 yards. I'll be picking up Eley Target/Club and SK Pistol Match to see if they provide acceptable results to lower the cost of use. Truly shows the value or using a rest to test your ammunition! My experience regarding the aluminum vs. steel slide is that of the 4 Marvel's i've had only one was a dedicated frame setup the other three I used on probably a dozen frames. zero tuning or tweaking. I could take one of those 3 to the range and use on someone elses lower. I have a Kart that I have many, MANY hours getting it to function consistently and it only works on one frame that had to have a 2.5lb. trigger. Never had a problem getting a Marvel to function on my ball guns with a GI mainspring. My Kart works great now but for someone that wants to shoot and not tinker I can only recommend a Marvel. 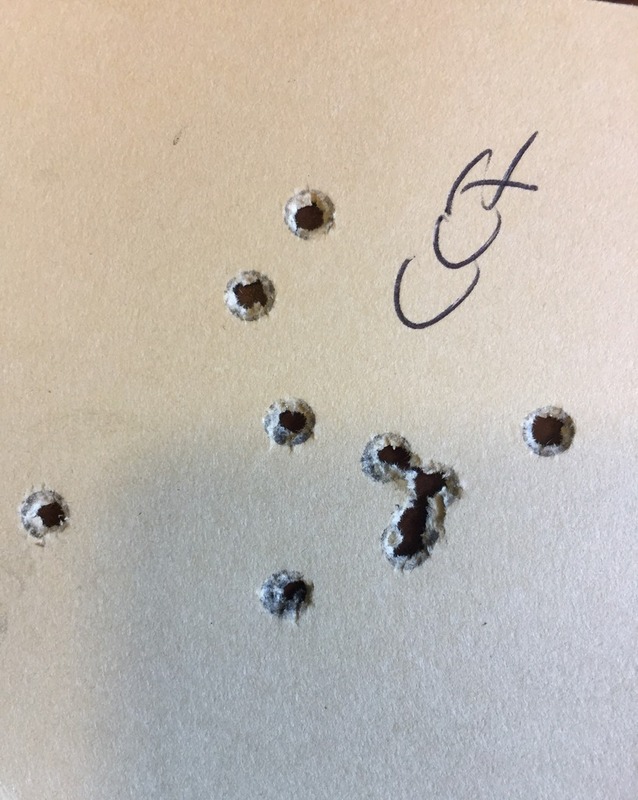 Many of the shooters at my club and I use the Advantage Arms and none of us have any problems with function or accuracy. I do keep a stash of the color coded recoil springs from Marvel to tune for ammo. I use orange and white mostly (7&6lbs) depending on the lower and the mainspring. Do you call RRA for the rib & what is the cost? until Monday. Will call then & order one.